Ecologically-Based Participatory IPM For Southeast Asia. Strawberry IPM utilizing native predatory mites for biological control of spider mites in La Trinidad, province of Benguet Philippines. A Farmer’s Guide to Rearing Predatory Mites, La Trinidad Benguet 2007. 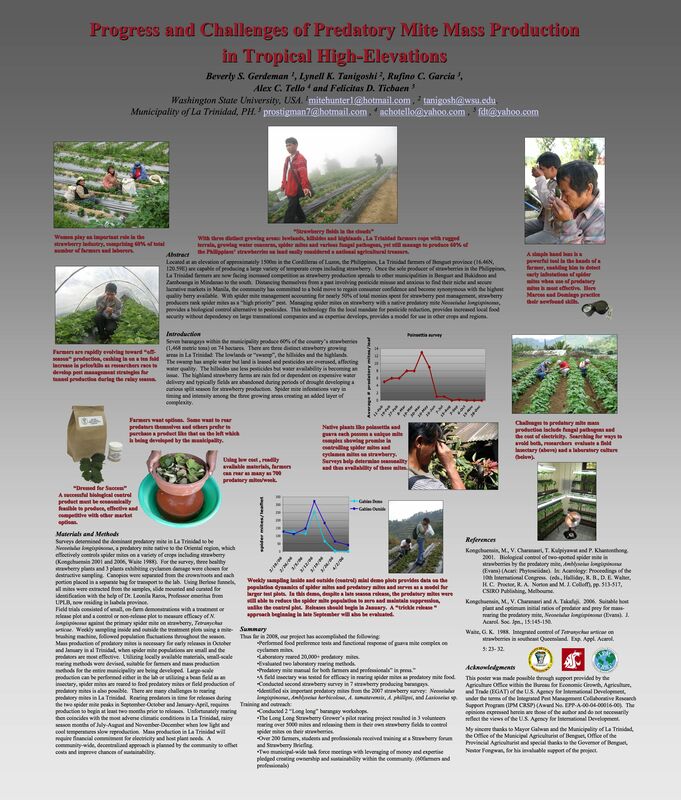 2009 Mid-Year Progress Report USAID IPM CRSP, Ecologically-Based Participatory IPM For Southeast Asia, Strawberry IPM Utilizing Native Predatory Mites for Biological Control of Spider Mites in La Trinidad, Province of Benguet Philippines.